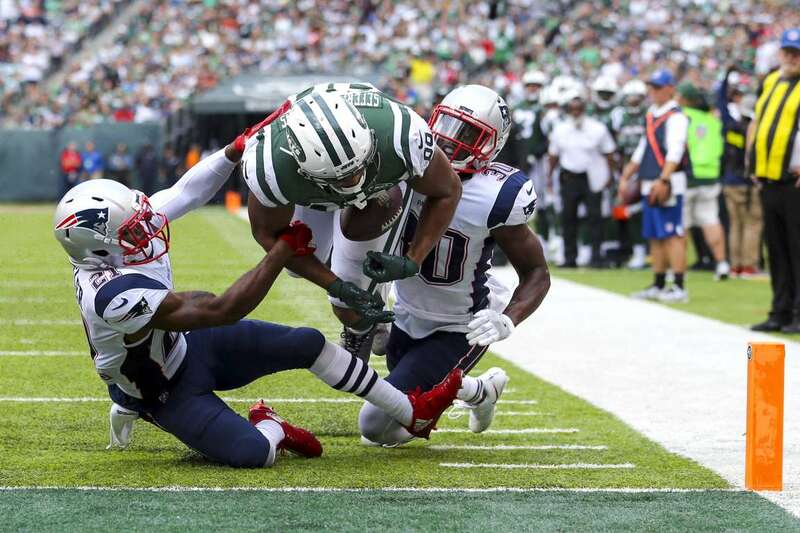 The Jets tight end Austin Seferian-Jenkins (88) fumbles on the goal line against the Patriots' Malcolm Butler (21) and Duron Harmon (30). The play was first called a touchdown and later changed to a touchback after review in East Rutherford, NJ. The Patriots won 24-17. Changing Fortunes The Jets tight end Austin Seferian-Jenkins (88) fumbles on the goal line against the Patriots' Malcolm Butler (21) and Duron Harmon (30). The play was first called a touchdown and later changed to a touchback after review in East Rutherford, NJ. The Patriots won 24-17.